Windows 10 automatically install updates as there is no option to disable these updates using Windows Settings. Microsoft made them mandatory for users to download and install them, as they are required to keep your computer stable and up to date by providing crucial security patches. For some users, these frequent updates can be annoying as they slow down your PC and could possibly slow down your Internet speed. But, if you are running Windows 10, you can prevent your Computer from downloading and installing updates automatically by following the methods mentioned in this article. 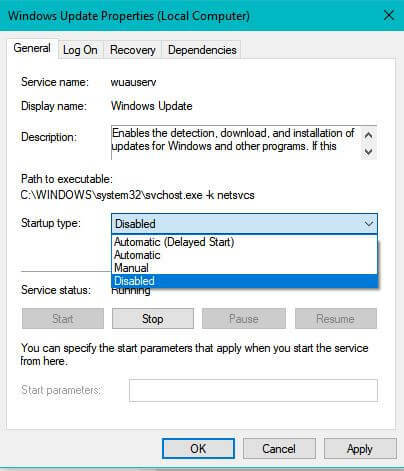 Take a look at all 3 methods that can be used to disable automatic update in Windows 10. Important: The methods mentioned below are tested on Official Microsoft Windows 10 Pro and Enterprise Edition. 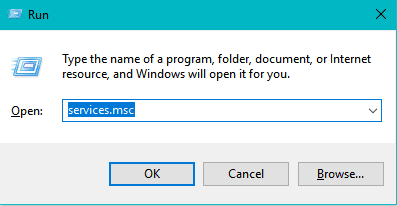 This method works on all editions of Windows 10. 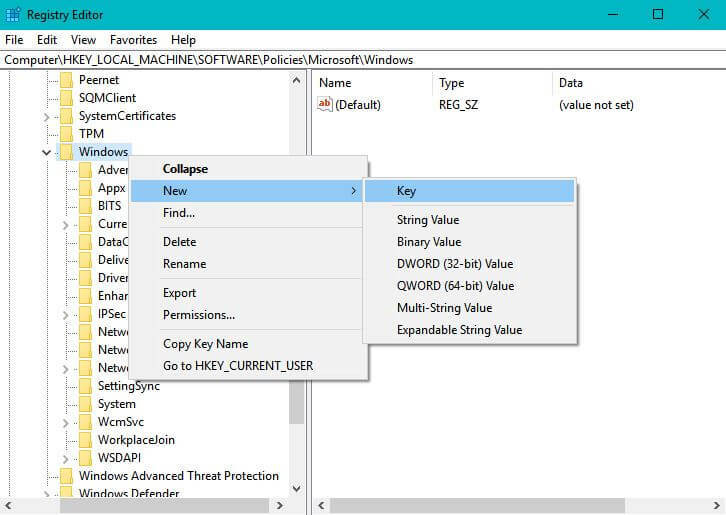 You can configure and change any Windows settings using the Registry Editor. But editing the Registry is a risky task, so proceed with caution and don’t make any mistake while performing the below steps. 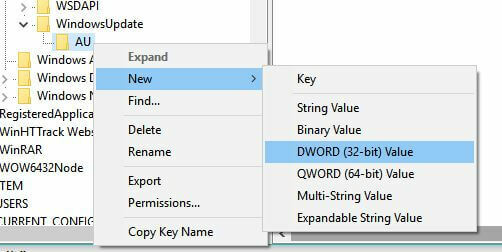 Press Windows key + R from the keyboard to open the Run command. 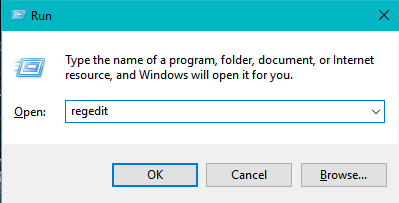 Type “regedit” and hit enter to open the Registry. In the left side, right click on the Windows, select New and then click Key. 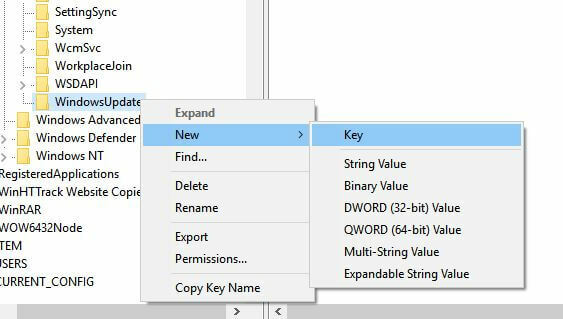 It will create a new key, rename it to WindowsUpdate. Now right-click on it, select New > Key. It will create another key inside WindowsUpdate, rename it to AU. 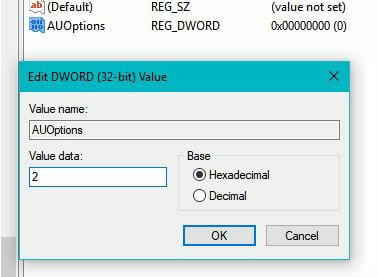 Now right-click on AU, select New and click DWord (32-bit) Value and rename it to AUOptions. 2 – “Notify for download and notify for install”. 3 – “Auto download and notify for install”. 4 – “Auto download and schedule the install”. 5 – “Allow local admin to choose the settings”. Changing the data value to “2” prevents the installation of automatic updates in Windows 10 PC and ensures you will receive a notification every time a new update is available. If you want to allow the automatic update, change its value to 0 or delete the keys created in above steps. 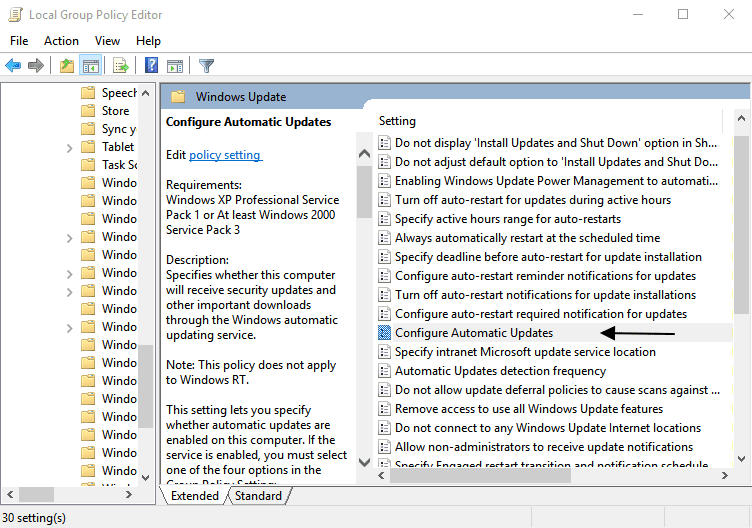 If you are using Windows 10 ( Pro, Enterprise or Education edition ), you can use the Local Group Policy Editor to change the Update settings to stop Windows 10 from automatically installing updates on your computer. Type “gpedit.msc” and hit enter. 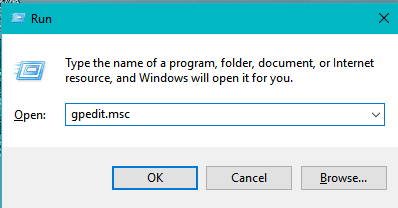 It will open the Local Group Policy Editor. Now, double-click on the Configure Automatic Updates under the list of settings. A new window will pop-out, check the Enabled option. Under Configure automatic updating, select the option 2 – “Notify for download and auto install” to stop automatic installation of updates. Click Apply and then OK to successfully apply these settings. 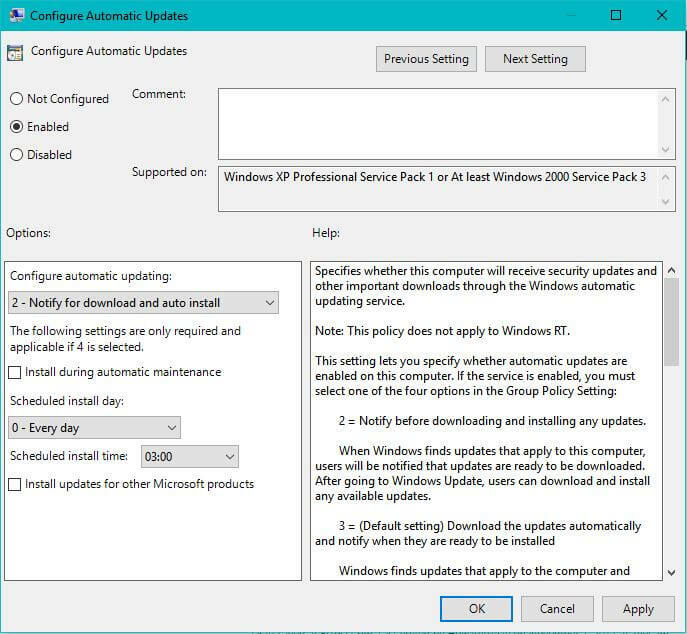 This method will prevent automatic installation of Windows updates and you’ll receive a notification everytime a new update is available. If you ever wish to change it back to default, just select the option 3 – “Auto download and notify for install”. Open the Run Command window by pressing the Windows + R keys from the keyboard. Type “services.msc” and press OK. It will open windows services window. 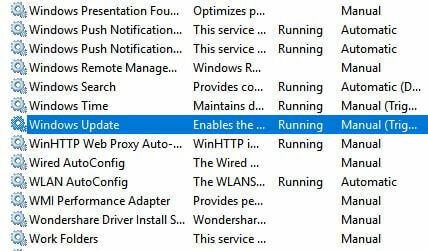 From the list of services, scroll down to find and double-click on “Windows Update”. It will pop-out Windows Update Properties window. Under the Startup type, select Disable option. If you wish to revert back to default settings, just change the Startup type to Automatic ( Delayed Start ). 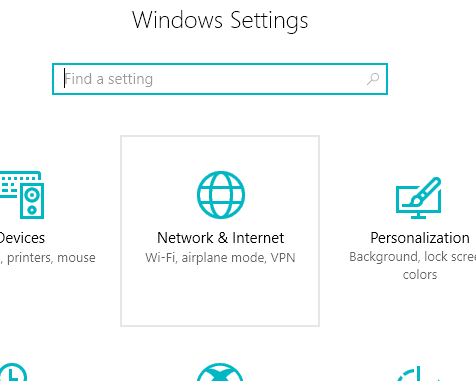 Go to Start menu and search for Settings in the search box and open it. OR Press Windows key + I to open Settings. In the left side, go to Wifi and click on the name of your connected network. Under Metered connection, turn on Set as metered connection and you’re done. This will tell Windows 10 that you have a limited data plan and won’t install automatic updates. FAQ: Why you should consider Installing automatic updates? Windows 10 send important security patches to prevent malicious code attack and maintain your PC’s security. That is why you should allows automatic updates. Microsoft recommends you should install patches as soon as they are available. Microsoft security updates prevent attackers find security hole inside your system. If you are running Microsoft’s official Pro Edition build then you should install updates automatically. If your computer works fine with downloads in the background, then you shouldn’t consider disabling automatic installation of latest updates as these patches help in improving Windows 10 performance and security. If you know of any other methods to turn off Windows 10 updates automatically, please share in the comment section below. If the information provided in this article is useful to you, please share the article.